Construction of the Bartlett Performing Arts Center at Moline High School is underway. 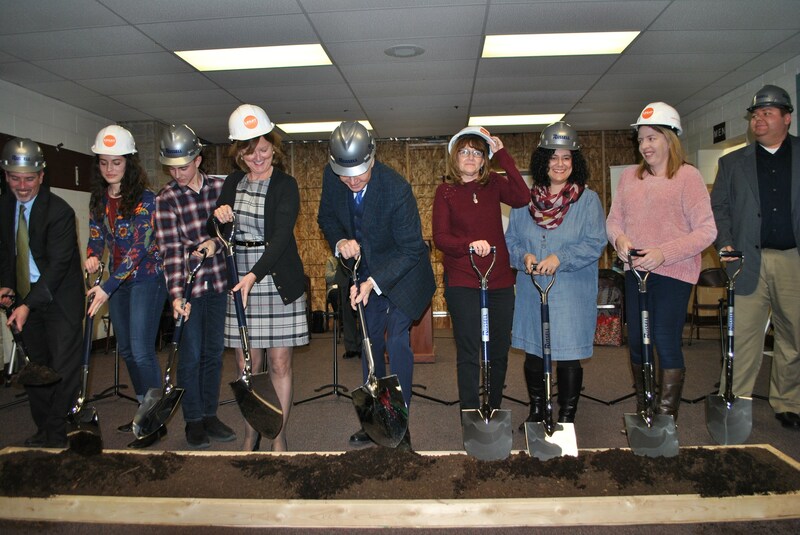 On January 9th, the community gathered in the auditorium lobby for a groundbreaking ceremony. 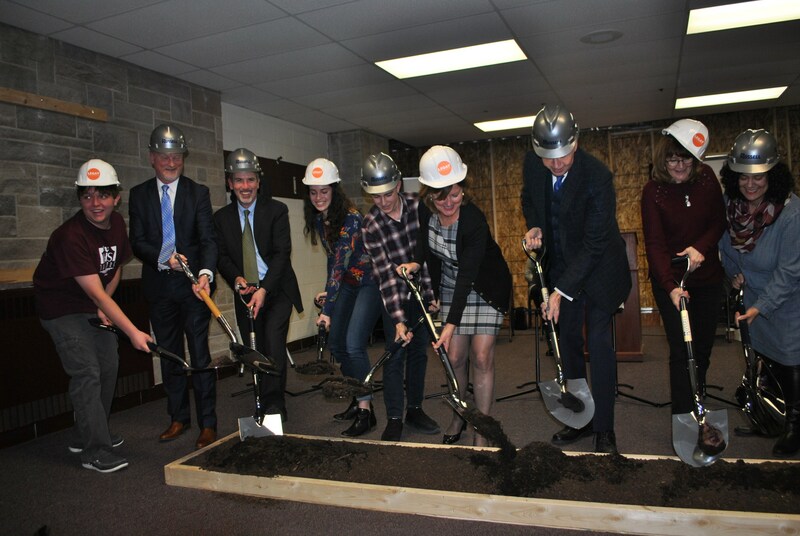 Speakers included Superintendent Lanty McGuire, Dr. Deborah Bracke, Bartlett foundation chairman, Patrick Brosnan, President, Legat Architects, Steve Baumann, Vice-President, Russell Construction, and Zamone Perez, MHS student. The $11.7 million project, slated for completion in January, 2019, includes 35,000 square feet in renovations and a 10,000-square-foot addition. Highlights include a complete renovation of the auditorium, along with new dressing rooms, a scene shop, music and choral rooms, and a multi-purpose room that can be used as a "black box" theater for smaller performances. The Bartlett Performing Arts Center will create more opportunities for Moline High School students and staff. It will also benefit the entire Moline community by drawing more outside performers. 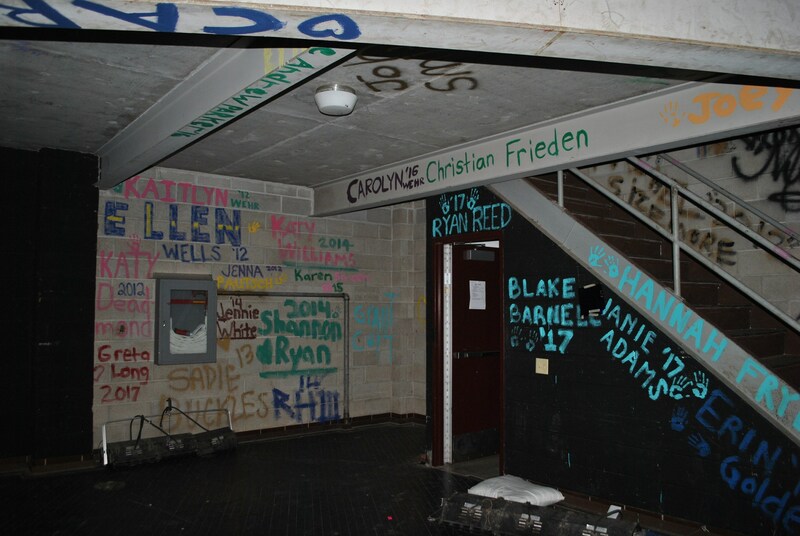 The project is made possible through a partnership between Moline-Coal Valley School District and the Robert E. Bartlett Family Foundation. 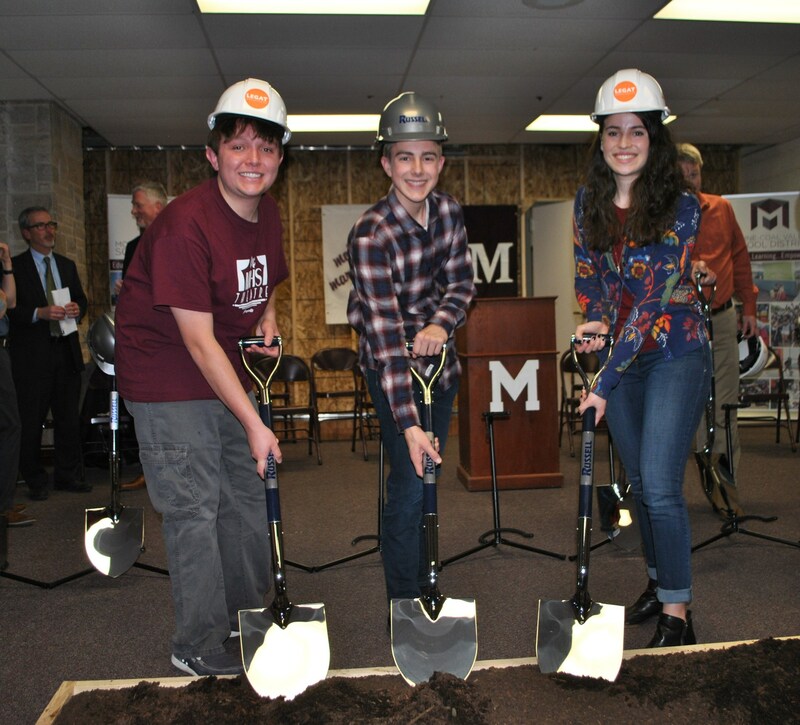 See more images and get the full story courtesy of Legat Architects https://www.legat.com/moline-high-school-breaks-ground-bartlett-performing-arts-center/. MHS students Zamone Perez, Ben Klocke and Anna Riggins. Repesentatives from Legat, MHS students, Bartlett Trust, Design Committee and Board of Education members. Repesentatives from Legat, Russell Construction, MHS students, Bartlett Trust, Design Committee and Board of Education members. Performing arts students past and present have left their mark on the basement walls of the existing auditorium.